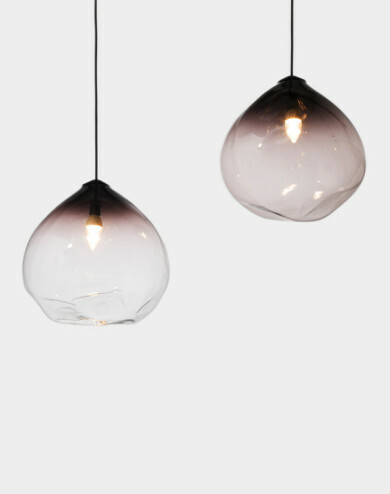 the parison is a glass pendant, mouth blown from a mixture of black and clear glass. 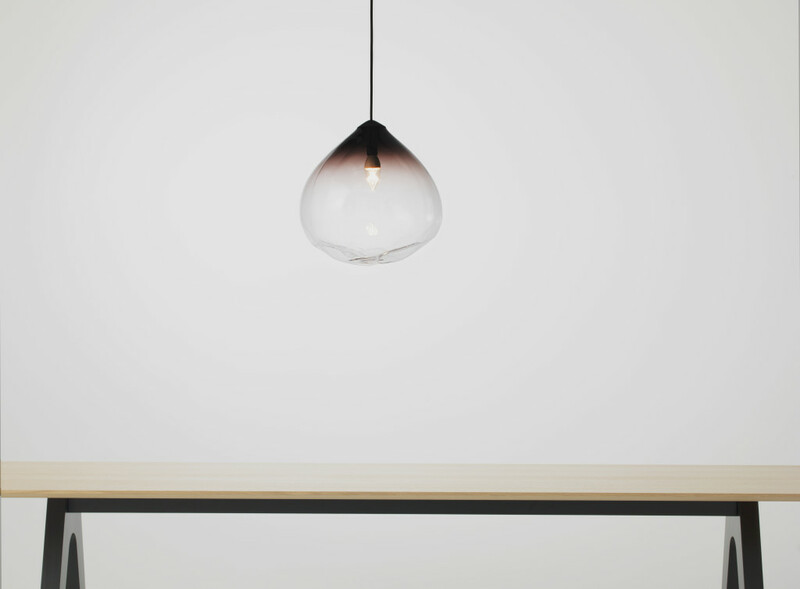 it’s surface is a fluid gradient from opaque to transparent. 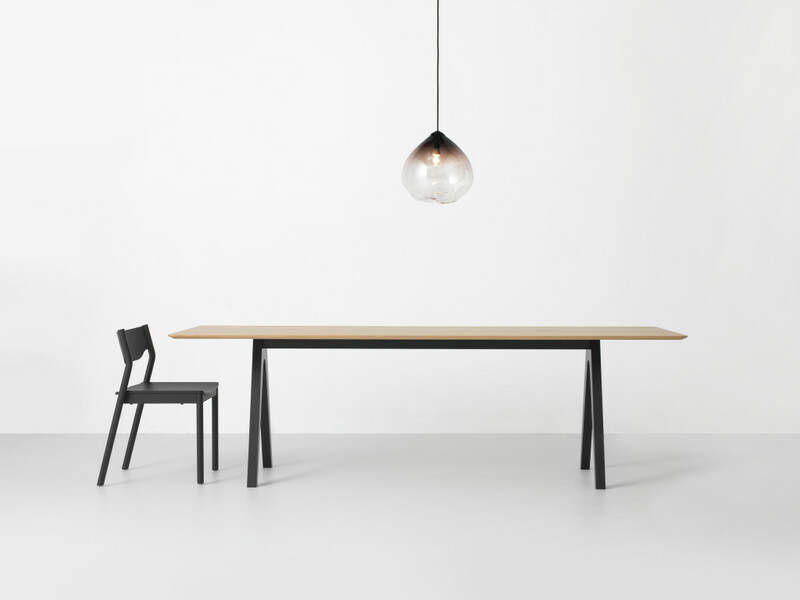 housed in the neck of the pendant, a high quality LED lam creates a soft warm glowing fixture. handmade in new zealand.